Recently refreshed with new paint, carpet, bathroom tile, & laminate wood flooring in the kitchen, this VERY conveniently located home is perfect for a small family, a couple, or a downsizing buyer! 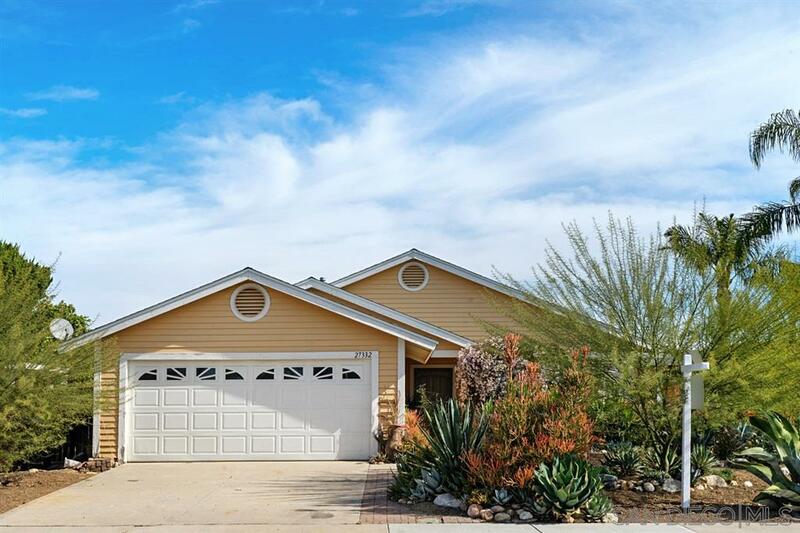 Ceiling fans throughout, A/C, neutral tile counters in the kitchen, updated bathrooms, & drought tolerant landscape invite you to this home. With no neighbors behind you, views to the mountains in the distance are a pleasant welcome. Minutes to the freeway & walking distance to Menifee Town Center! SEE SUPP, The newer Menifee Town Center, with many restaurants, shopping, and more to come is just a stroll away. Additional room in the back (permits unknown) could be large 3rd bedroom, den/office, or living/family room.